Why Should You Use Drive In Racking? > Why Should You Use Drive In Racking? Drive thu or drive in racking is a popular storage option, due to the ability to store up to 75% more pallets than standard pallet rack. However, drive in rack is not ideal for all storage applications or businesses. Here we have compiled a list of our top tips of when the best time is to use drive-in pallet racking! 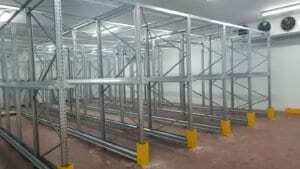 Drive-In Racking is used to stock pallets of similar products. Forklifts drive into the rack to pull the first available pallet. This is the “Last-In, First-Out” (or LIFO) storage system. If you are storing time sensitive product (e.g. food), this may not be the best application. 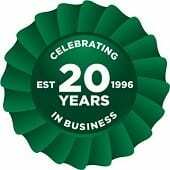 It also may be suitable if you have seasonal products as these would only need to be accessed at certain times of the year so can be moved to the back once stored. Drive in rack is commonly used for cold storage applications because to the need to store as much product in as little expensive freezer space as possible. A considerable amount of similar items that can be stored in a single pallet position and accessed last-in, first-out. If the storage capacities of all your loads are similar, than drive in rack can be considered, as well.